This is a cake to make when you feel like getting your Top Chef on. It’s a little putzy, and definitely not low-cal, but it is such a delicious, fresh-tasting pound cake that all the effort is worth while. So, practice your best Julia Child voice, tie on your fanciest apron, and get baking. But heavens help you if you try to make this cake with a paper cut on your hand. 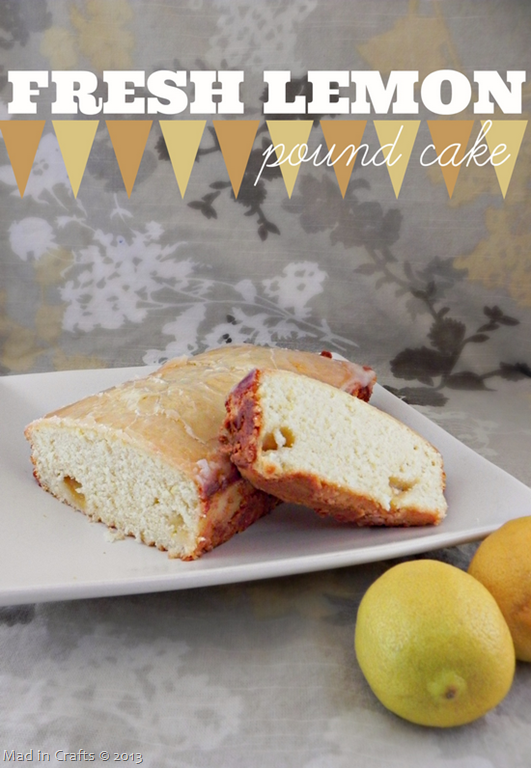 The recipe is an adaptation of Dozen Flours’ Better Than Starbucks’ Lemon Pound Cake. I tweaked the recipe just a bit according to what I had in the house, but the majority of her recipe is still there. The first fancy step in this fancy cake requires you to make lemon zest sugar. Use a microplane or citrus zester to remove ONLY THE YELLOW parts of the lemon zest. Don’t press too hard as you are zesting, or you will remove the bitter white part of the lemon rind. 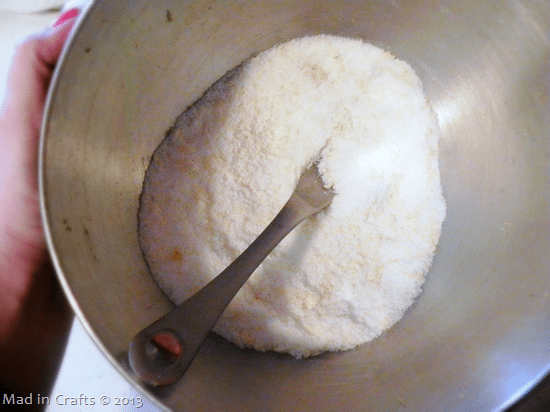 Measure your granulated sugar into a food processor, and pulse it a few times to make the sugar finer (and fancier). Mix the processed sugar with the lemon zest, breaking up any chunks that form. 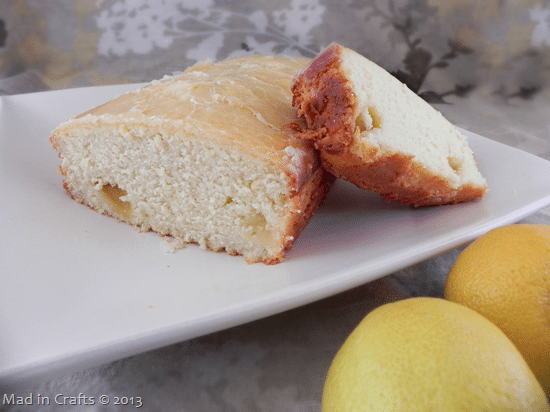 To increase the cake’s fanciness, the recipe calls for only fresh lemon, NO extracts. To get the fresh lemon flavor, you will need to peel the rinds off the lemons to more easily access the fruit. 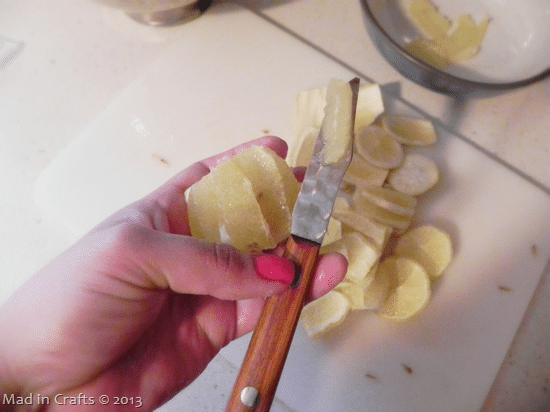 Begin by cutting off both ends of the fruit, then carefully peel down the sides of the fruit with your paring knife. Try to cut as little of the fruit off with the rind as possible. Also, try to cut off as little of your fingers as possible. Severed fingers are not fancy. 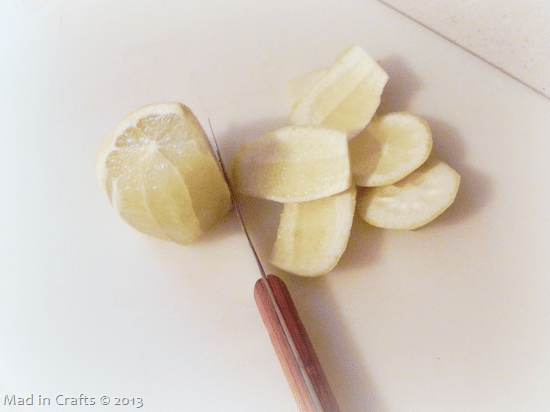 Holding the lemon in your non-cutting hand, make little vee’s in each segment of the lemon to remove the fruit segments. You can impress your guests by telling them the pound cake batter is dotted with supremes (pronounced “soo-prems”) of lemon, because that’s the fancy chef word for the wedges of lemon you just cut. Those fancy supremes create little pockets of fresh lemon that burst when you bite into them. It is a delicious surprise that makes all that fancy effort worth it. The rest of the cake-making process is pretty straight-forward. I chose to make the cake in two loaf pans, so I could share. Or to have one for me and one for me. Because I like cake. Fancy that. *When substituting all-purpose flour for cake flour, one cup of all-purpose, minus 2 tablespoons, is equal to one cup cake flour. Hence this weird measurement. Grease and flour two loaf pans. Preheat oven to 350. Zest 4 small lemons into a large bowl. Pulse granulated sugar in a food processor and add to the lemon zest. Mix together until no clumps remain. Set aside. Peel and supreme the zested lemons. Place the lemon supremes in a small bowl. Set aside. Cream together butter and lemon sugar. Add eggs in one at at time. Sift together flour, powder, and salt. Add slowly into the wet mixture. Split batter evenly between loaf pans. Bake at 350 for 60-75 minutes, or until a toothpick inserted into the center of the cakes comes out clean. Cool for 10 minutes and then remove from pans onto a cooling rack. After the cakes have cooled, pour the icing over the cakes. Serve and enjoy!